We got back on Tuesday evening from our 5-day trip to the Tampa Bay area of Florida. This is actually our longest trip with the arrow to date and it couldn't have been better. The weather was beautiful--mid 70s and sunny each and every day. The condo we rented was perfect for us and in a great location. More importantly, I felt like we did a lot while also doing a whole lot of nothing. Does that make any sense? 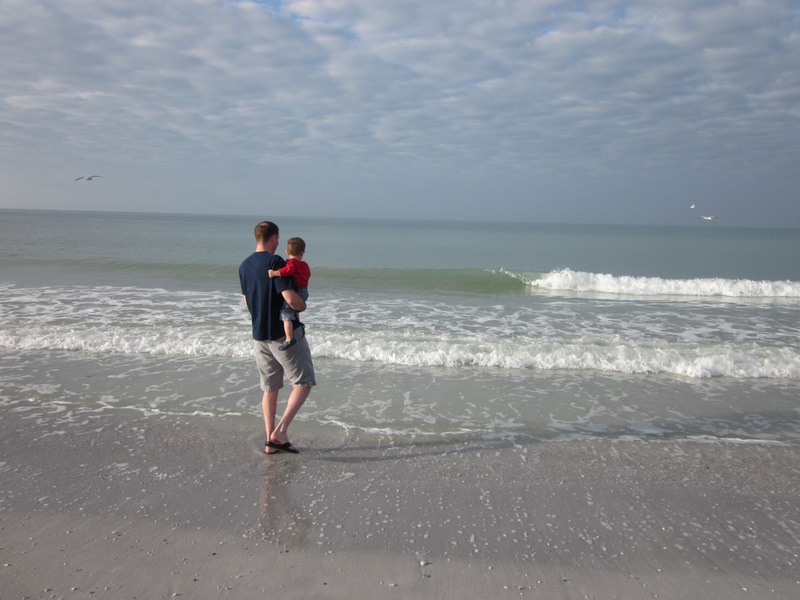 Below I've outlined our basic itinerary and how we experienced the Tampa Bay area of Florida. We started our journey flying from Indianapolis direct to Tampa. The arrow did great on the flight, even better than our flight to/from Phoenix this fall. That whole "sitting still" for a few hours really does get easier with age. We landed early afternoon, and drove about 40 minutes to St. Pete Beach where we had rented a condo. We stopped along the way so that I could make a quick dash into the grocery store for a few essential items (while the arrow napped in the car). We then quickly unpacked and headed straight for the beach, which was just a block away. I'll never forget the look on the arrow's face when he realized all that sand was his to play with! 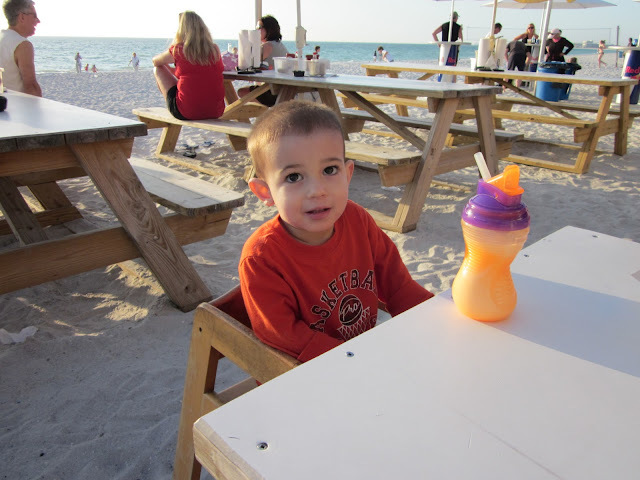 That night we headed to Caddy's on the Beach for some grouper sandwiches served up beachside. Then we collapsed into bed after a long travel day. ﻿﻿﻿﻿One of my favorite memories from my previous trip to St. Petersburg was the Saturday Morning Market. This farmer's market is held each Saturday morning in the heart of downtown St. Petersburg, and it was high on our list of things we wanted to do again. We started our morning there, sampling some of the delicious food being prepared. From the market, we walked over to The Pier. The Pier has lots of family-friendly attractions, like an aquarium, bike rental spot, and more. But we just wanted to wander, admire the water views and the boats in the marina. We continued to walk around downtown St. Petersburg (mostly because the arrow fell asleep in his stroller), and then stopped for brunch at a sidewalk cafe. That afternoon, we introduced the arrow to the condo's heated pool and it was love at first splash. He would proceed to beg for the pool throughout the trip, and we had lots of fun indulging him! After his afternoon nap, we went to the Sloppy Pelican, a beachside restaurant just a few blocks from our condo. We capped off this sweet day with a stop for ice cream. ﻿﻿We spent the morning at what I consider to be the crown jewel of this area of Florida: Fort De Soto Park. It's a gorgeous stretch of beach and parkland. Miles of biking trails, no buildings to interupt the seaside landscape, and a great place to take in a wonderful breath of fresh air. We hunted for seashells, dipped our toes in the chilly water, and walked up and down the beach. We wanted to visit the fort itself, but it is closed until mid-March. Next trip! 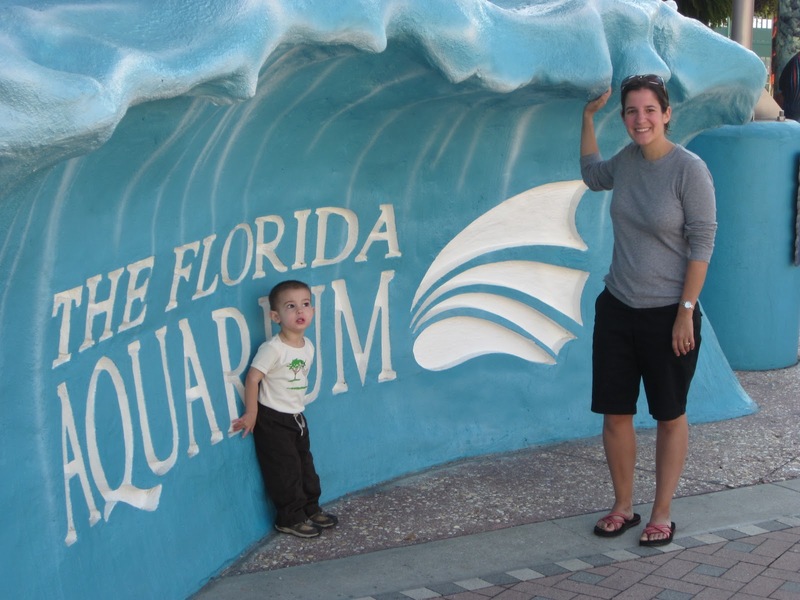 ﻿﻿﻿﻿﻿﻿We got up in the morning and drove to Tampa for a trip to the Florida Aquarium. It had lived up to my dreams about this place: lots of exotic fish, hands-on exhibits, and plenty to entertain the arrow. From the aquarium, we hopped on the trolley that runs around downtown Tampa, and took that to Ybor City. Ybor City is a lively area of Tampa, with lots of restaurants, bars, nightlife, all in old buildings on brick streets. We ate lunch at Bricks of Ybor, and it was one of our best meals of the trip. (You can read my review here. )Then we hopped back on the trolley and drove back to St. Pete Beach. After more pool time, we headed to Bella Habana for some great Cuban food as our last meal of the trip. Then we took a sunset stroll on the beach and stopped for (you guessed it) ice cream. ﻿﻿After feeding the arrow a quick breakfast, we headed to the beach for one last romp in the sand and to say our goodbyes. Then we finished packing up the condo and stopped at a playground on our way to the airport. Before we knew it, vacation was over and we were on our flight back to Indianapolis. I'll be blogging about many of these adventures in much greater detail in the weeks to come. 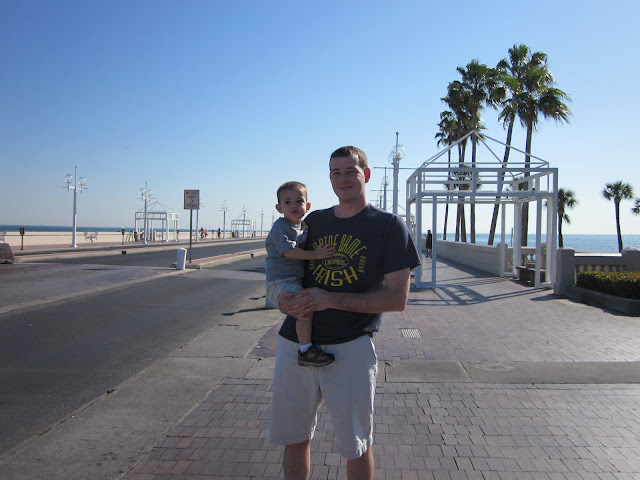 Please check back to read more about our fun in Florida! It looks like you guys had a wonderful trip!! And the beach, the beach! How I love the beach!! I can't wait to read more about your trip! 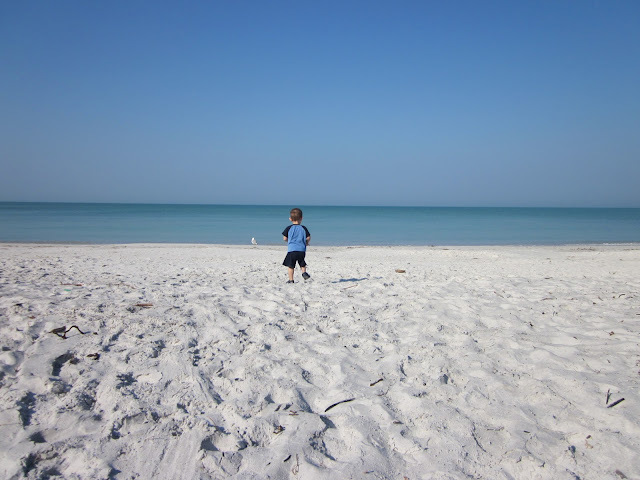 Those photos make me want to run off to the beach!